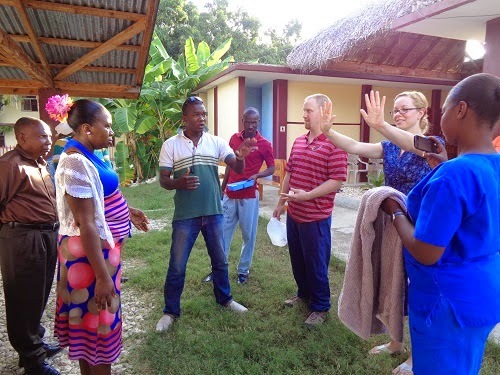 Scott & Carling are here for nine weeks to do teaching here at Haiti ARISE and around the community. So far they have taught in the Elementary school, Technical school, Clinic and will go to some of the schools in Grand Goave in the weeks to come. They start with one dot of their hands and then start touching things and shaking hands with people to illustrate how germs and bacteria are spread. Then with soap and water, it is all washed off.